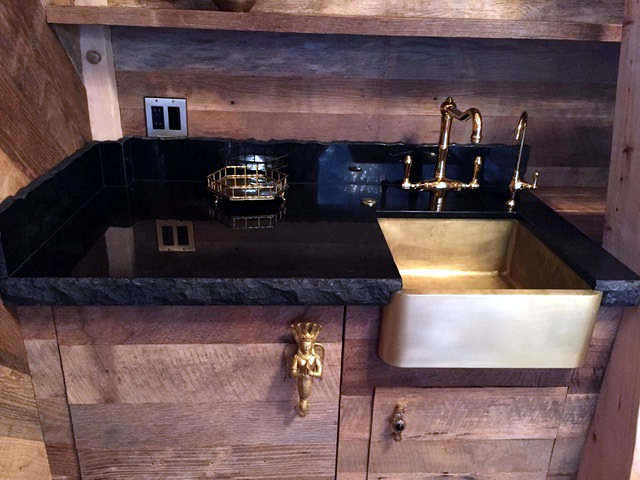 A beautiful application of the Constantine IV Sink in stainless steel and brass accents. 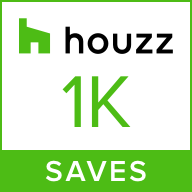 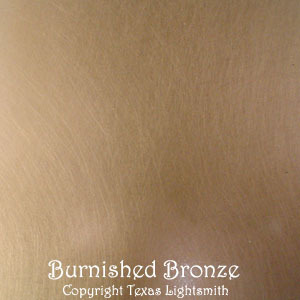 Other materials and finishes available as well. 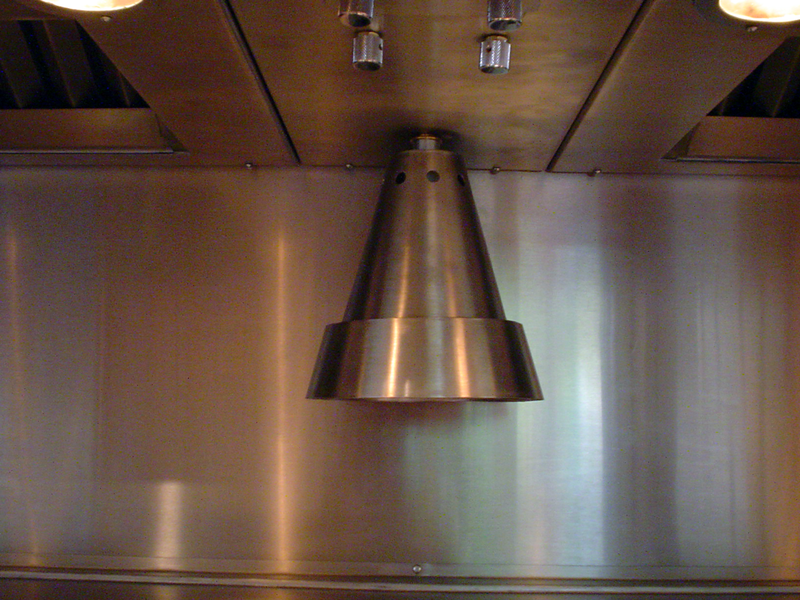 Description: This vent hood features angular planes with three sloped sides and a flat back for an overall pyramid appearance. 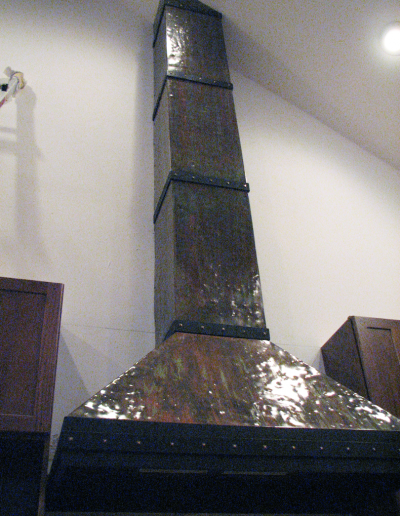 Shown here in a custom fire finish with our Border #4 in black iron and horizontal strapping with decorative rivets. 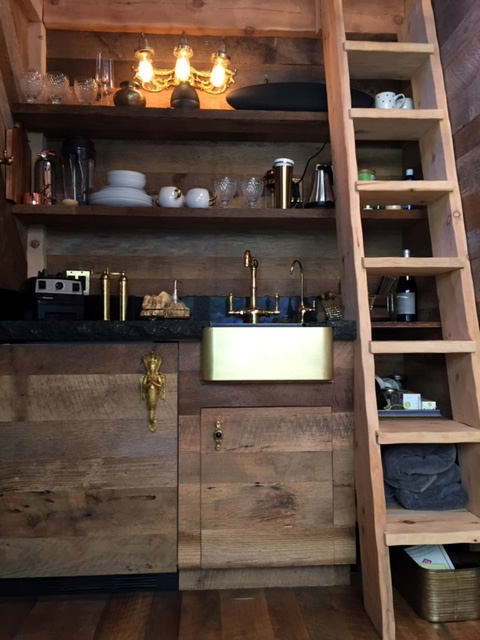 We can build to order. 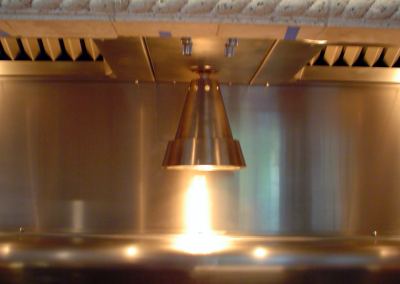 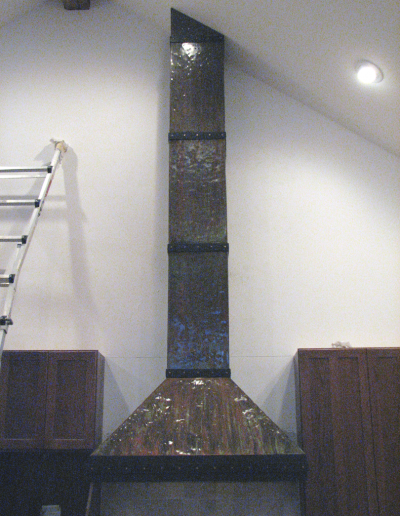 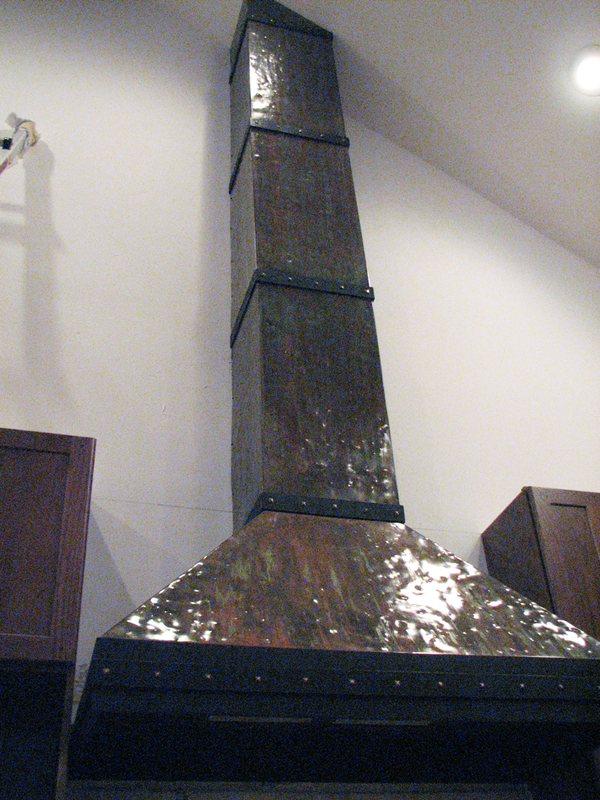 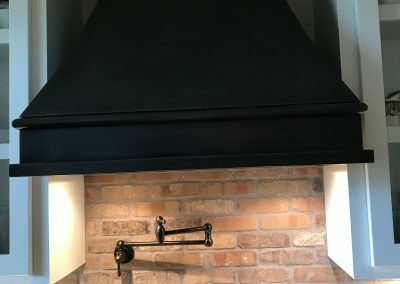 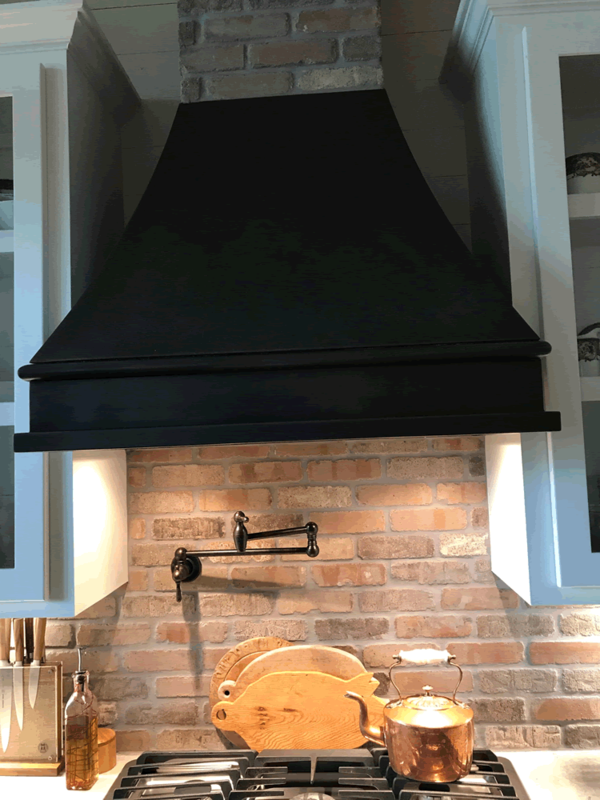 Range Hood 7C in a custom fire finish. 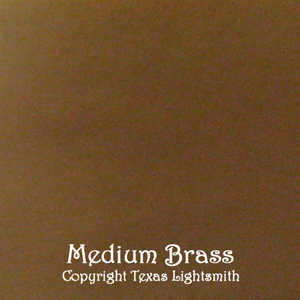 Border:	#26, Hammered Iron with 2 hammered straps and decorative round head rivets. 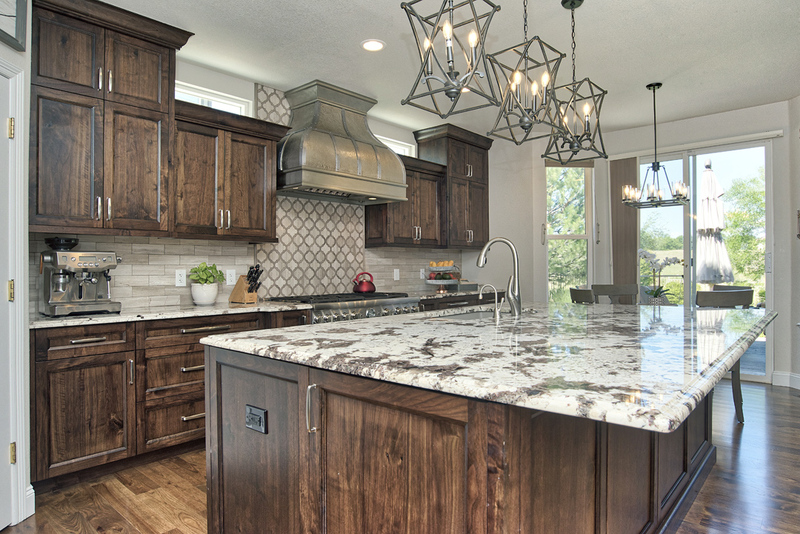 A bold statement, and the focal point of this kitchen. 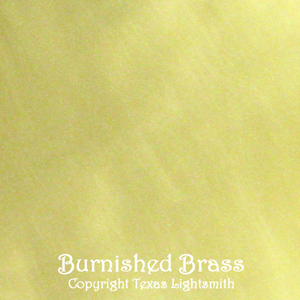 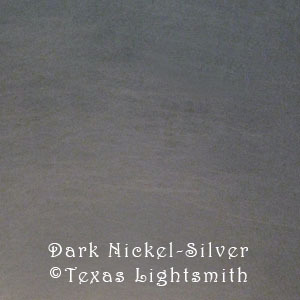 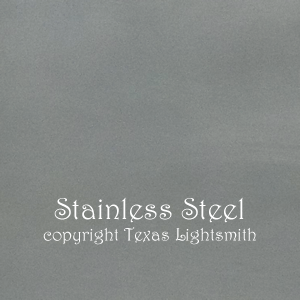 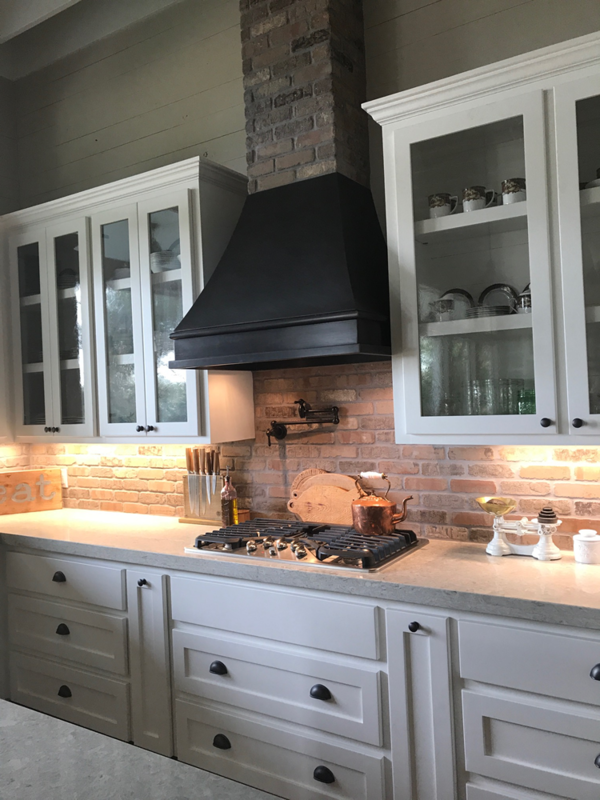 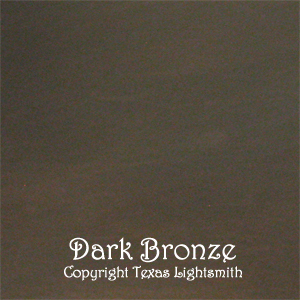 We are completely satisfied … the crew at Texas Lightsmith are very detailed, accommodating, and produced a product that met and exceeded our expectations. 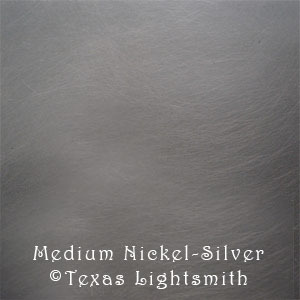 Hammered nickel silver; smooth strapping with decorative rivets.Complementing smooth nickel silver double bull nose detail on crown and border. 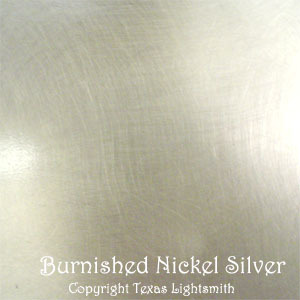 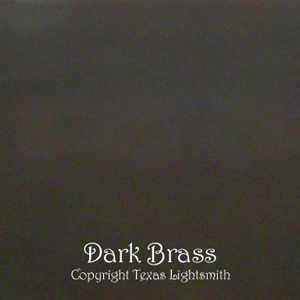 Burnished nickel silver finish. 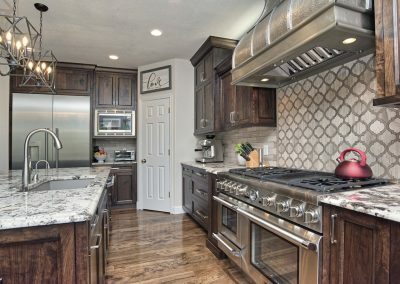 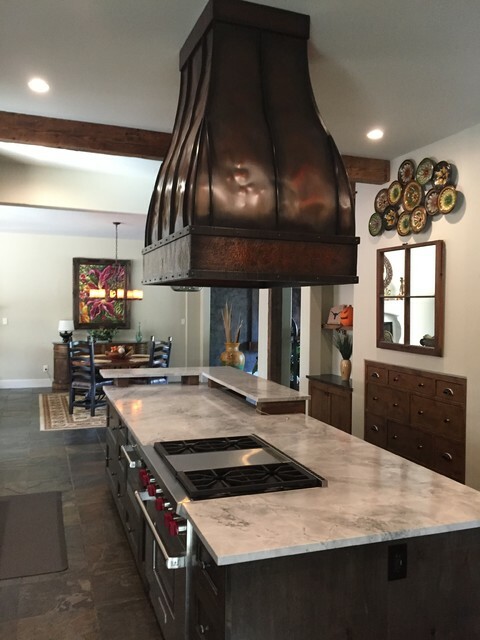 Custom size and fabrication specs for this beautiful kitchen! 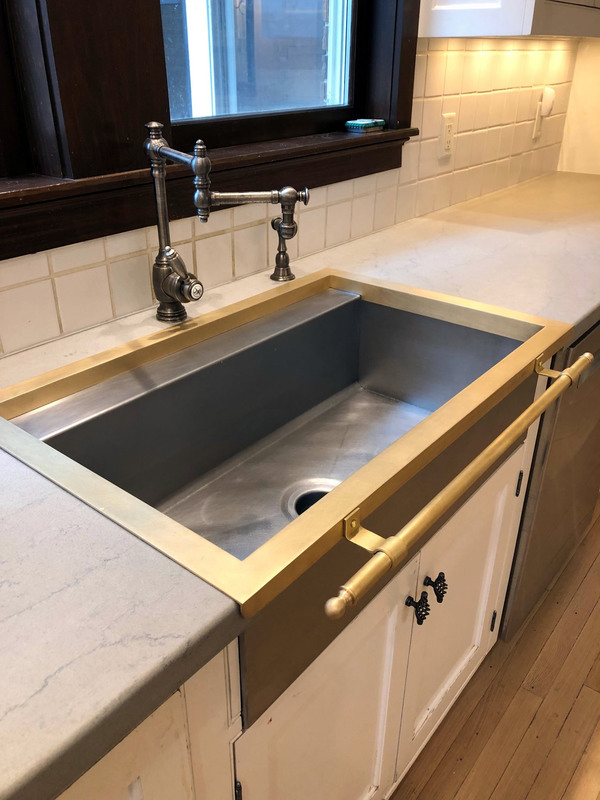 Available in all standard materials and finishes. 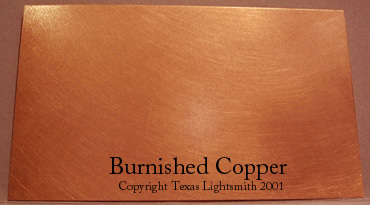 Customization of size, shape, finish, material, or design in general is possible as we make each product to order. See Range Hood 43 for more information about this range hood. 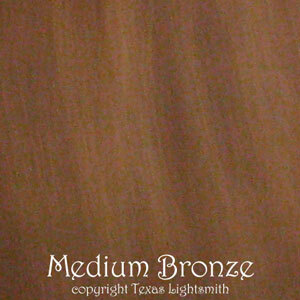 Double bull nose detail on crown and border. 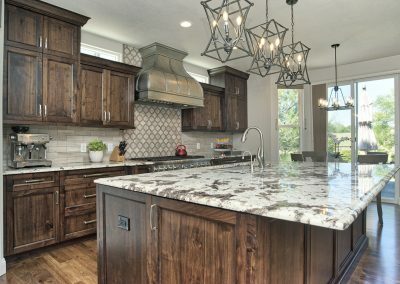 Blends well with kitchen decor. 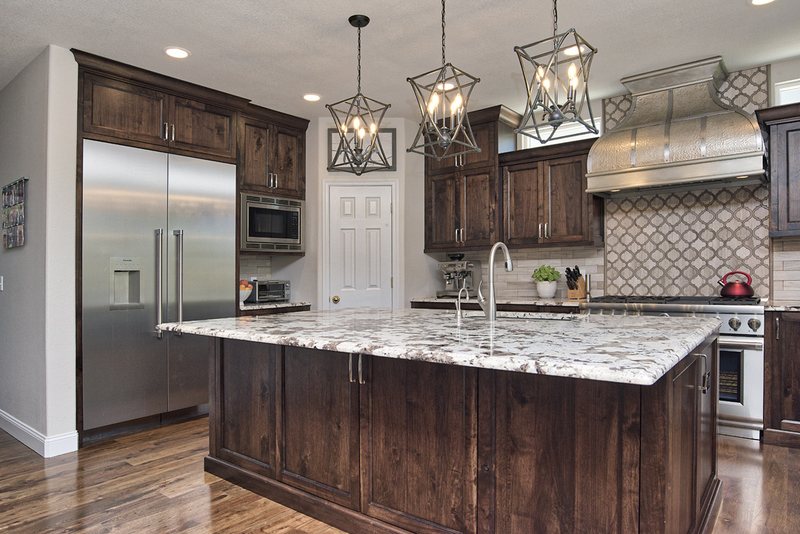 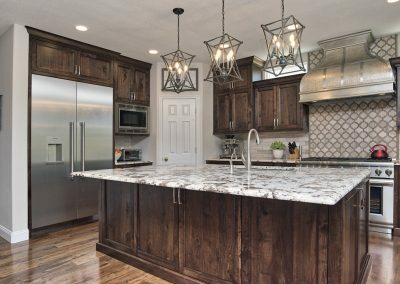 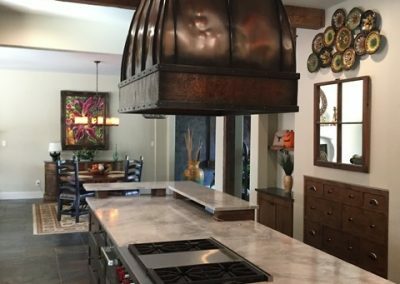 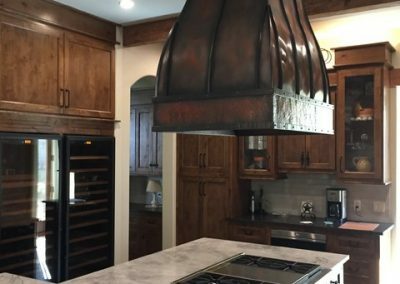 custom fabrication specifications for this beautiful kitchen! 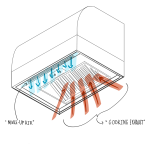 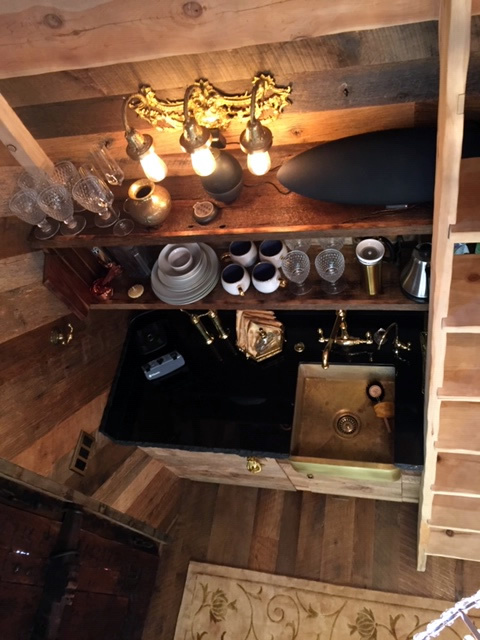 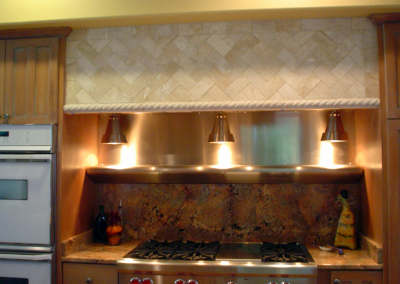 Custom Insert: hanging heat lamps; warming shelf. 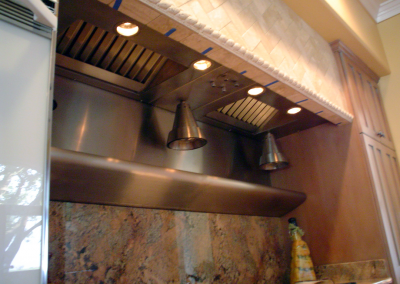 Custom stainless steel liner/insert with hanging heat lamps and warming shelf. Randomly brushed stainless steel. 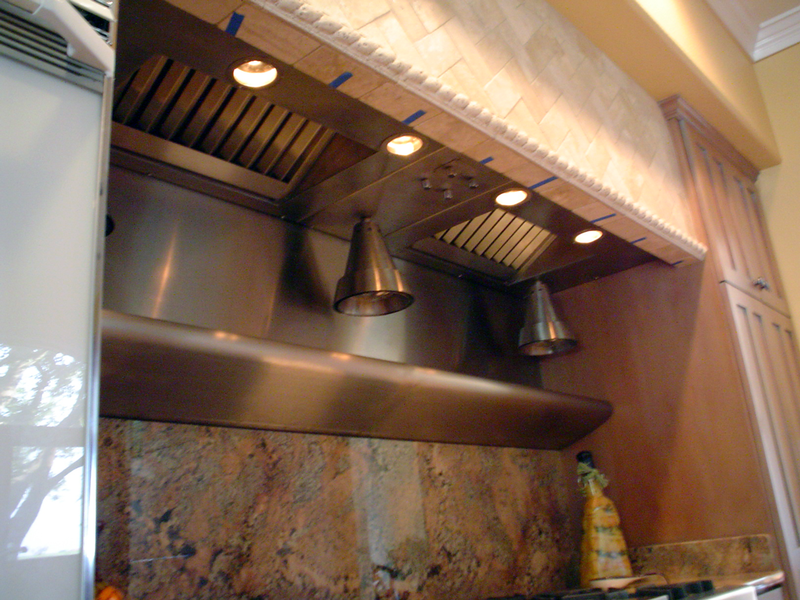 Premium baffle filters, dual Fantech FKD10XL remote, inline fans. 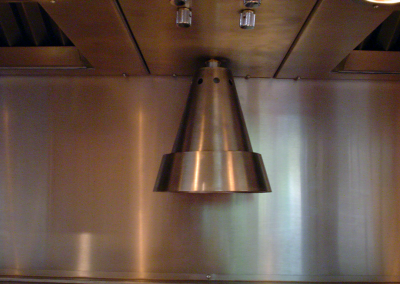 Custom stainless steel insert with hanging heat lamps. 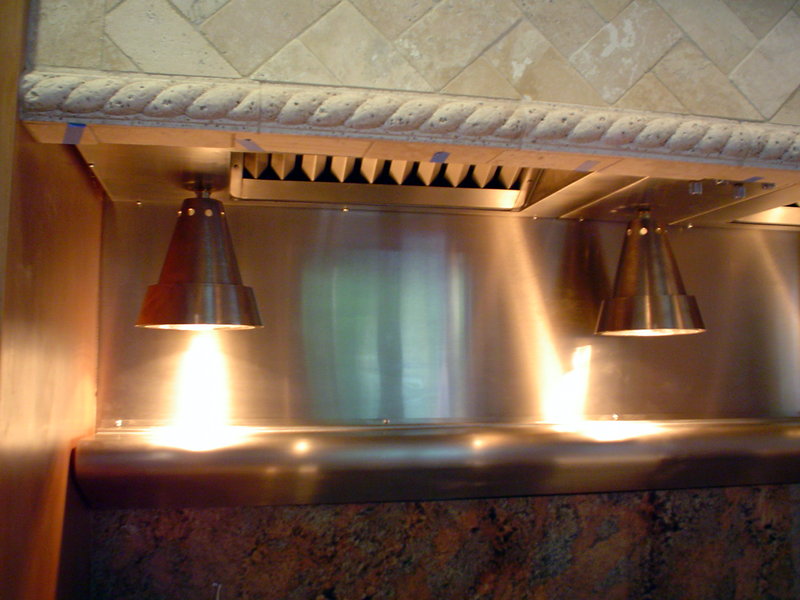 Custom stainless steel insert with hanging heat lamps and warming shelf. 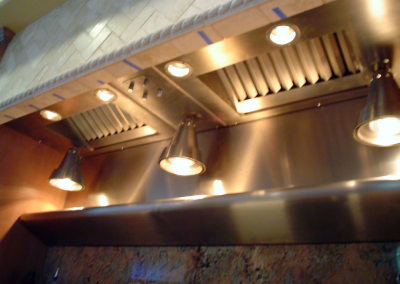 Randomly brushed stainless steel. 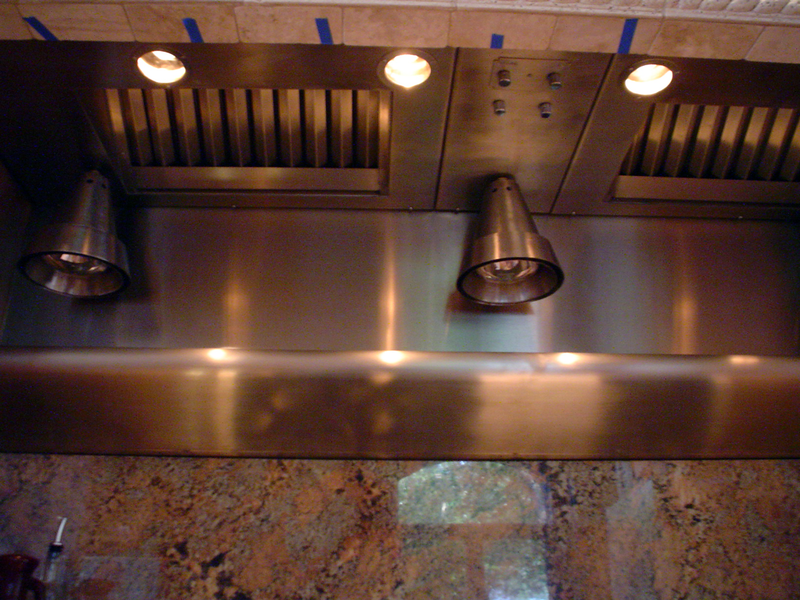 Custom stainless steel insert with hanging heat lamps. 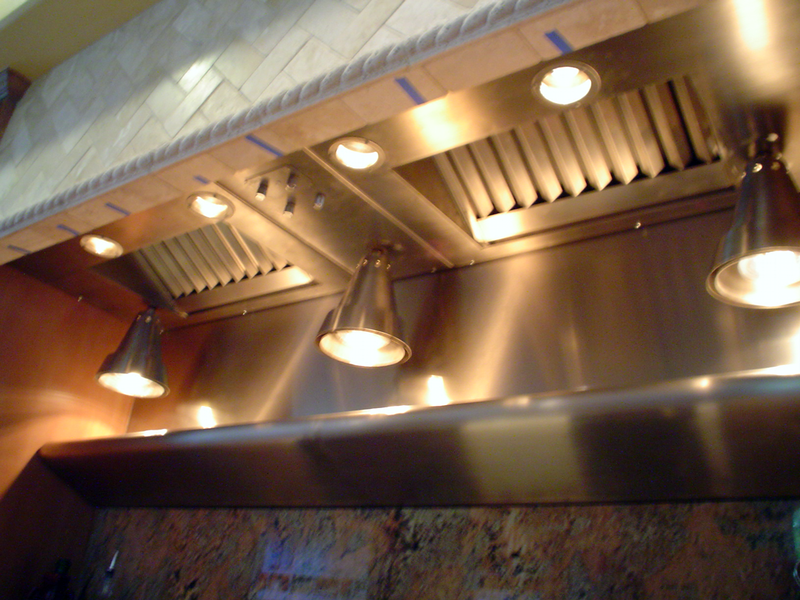 Randomly brushed stainless steel. 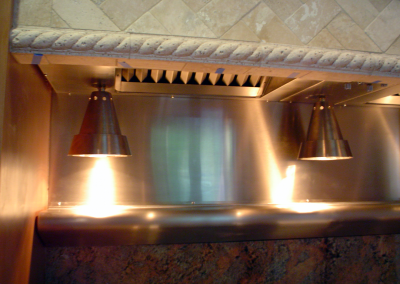 Custom stainless steel insert with 3 hanging heat lamps. 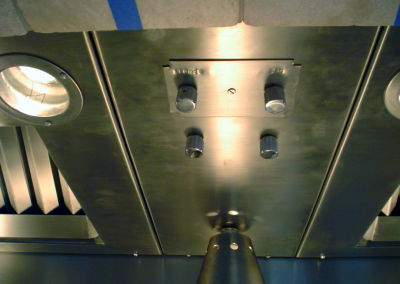 Randomly brushed stainless steel. 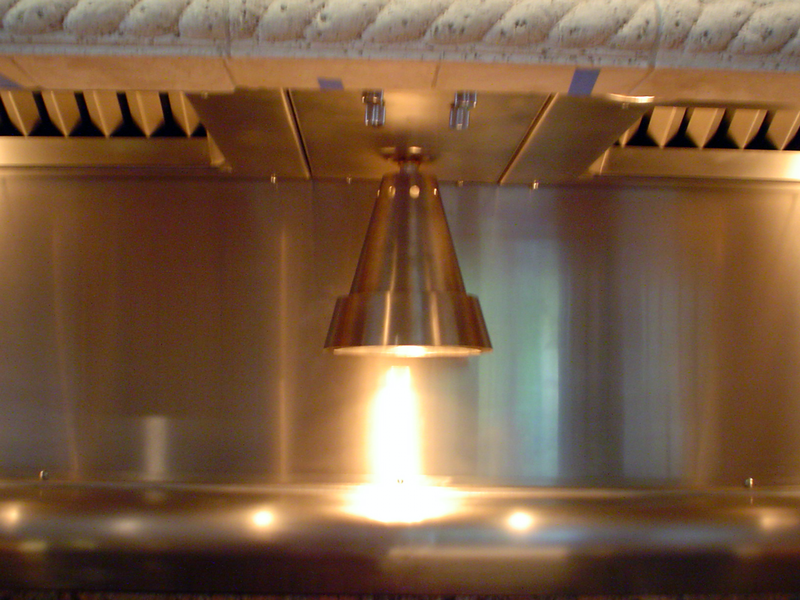 Custom stainless steel insert: Dual remote, inline fans with speed control. Dimmer switches for the heat lamps and the recessed MR16 lighting. 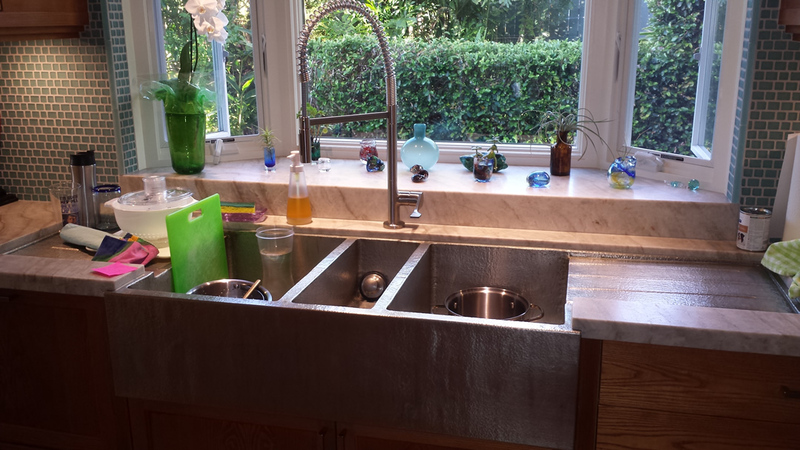 Our client needed a custom Chef Size sink – with an integrated drainboard – all in hammered burnished nickel silver. 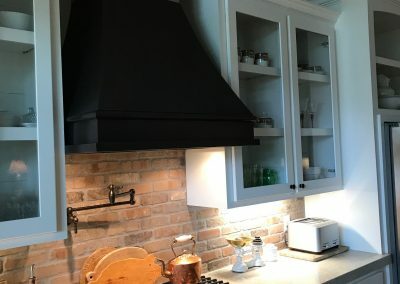 We can do that! 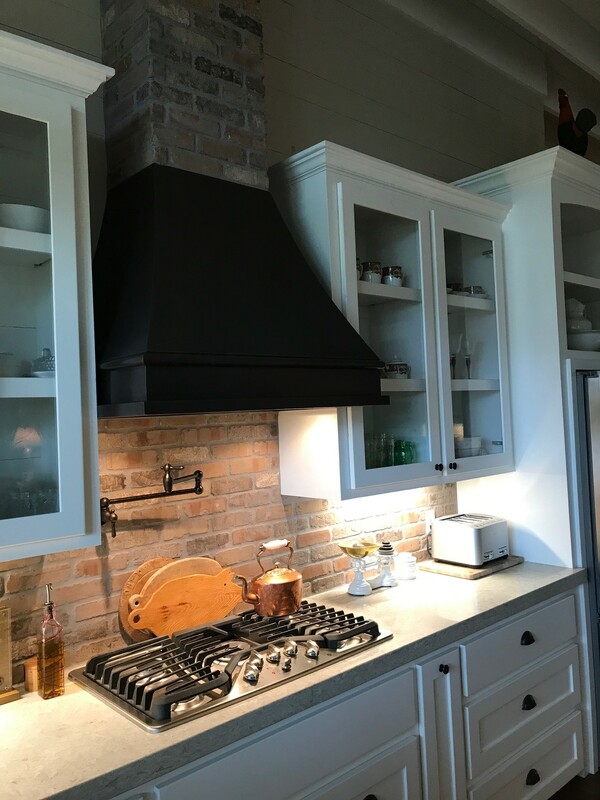 Great statement to the farmhouse kitchen! 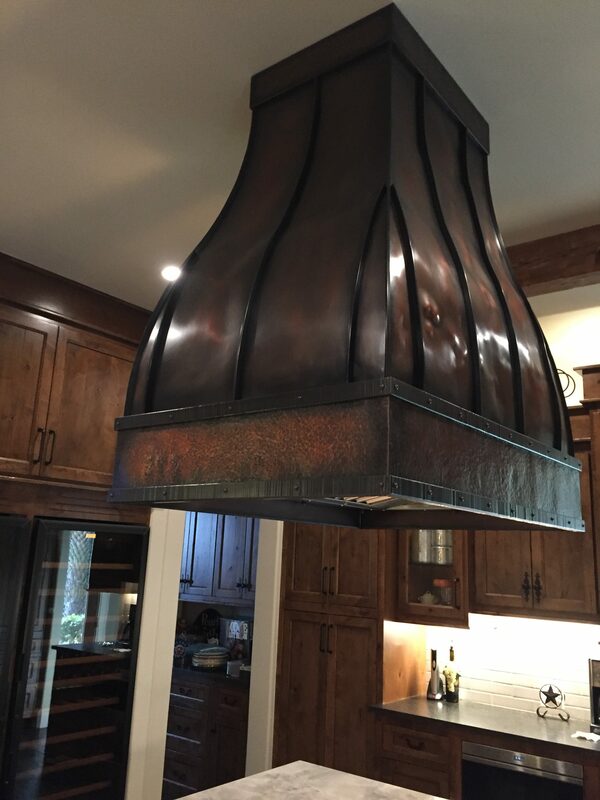 An incredible interpretive art deco lighting design by Joe Stubblefield of San Antonio, Texas. 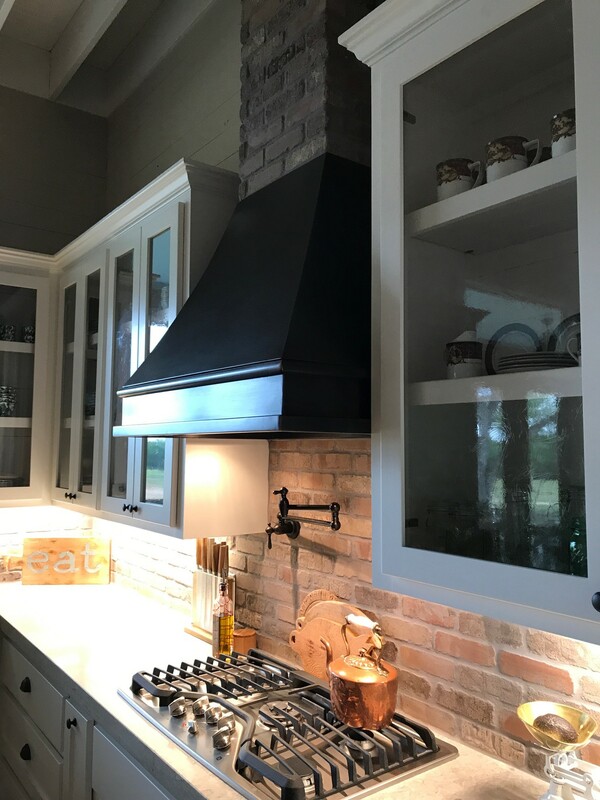 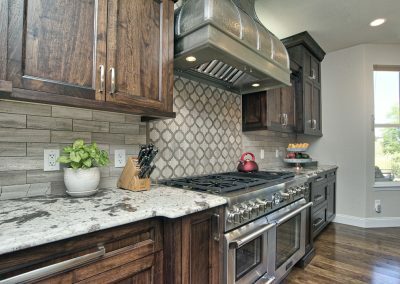 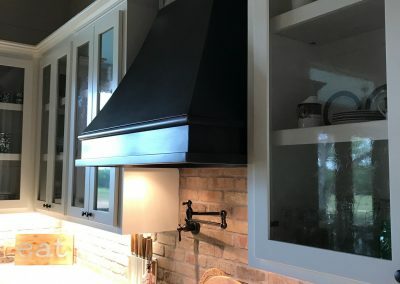 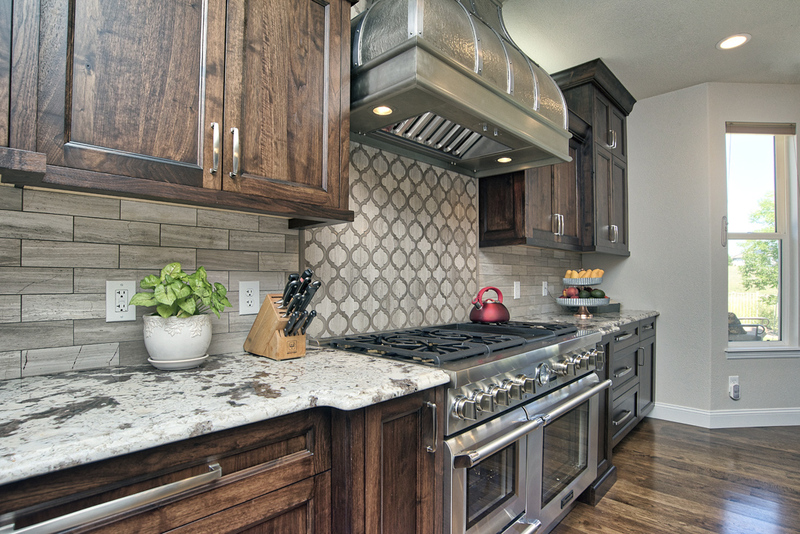 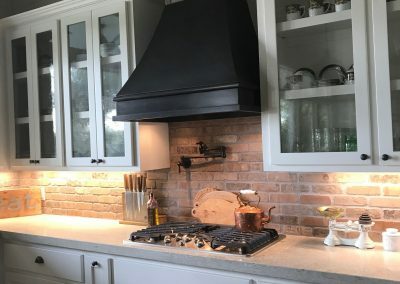 The graceful curves and medium nickel silver finish of this custom range hood #43 compliment the stainless appliances and bring out the subtle gray tones in the backsplash tiles. 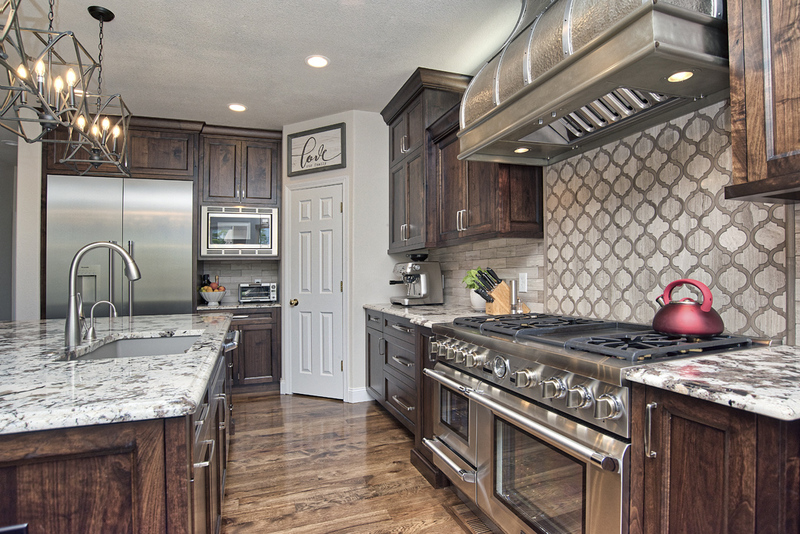 The full length cabinetry frames the hood making a bold yet charming statement. 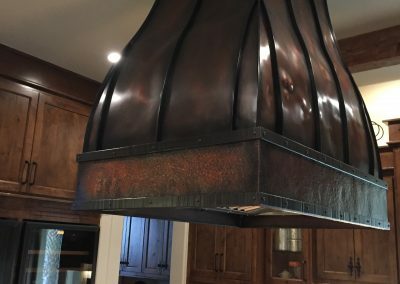 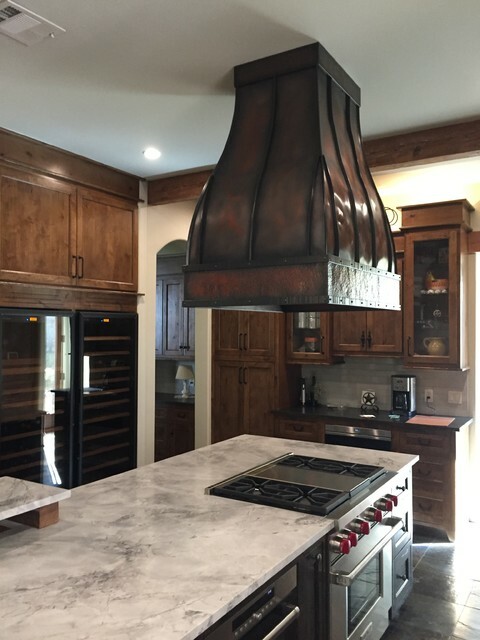 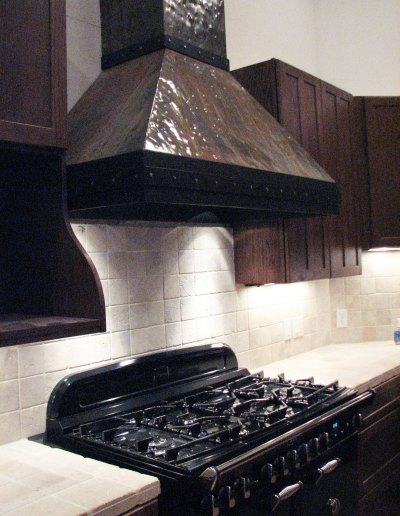 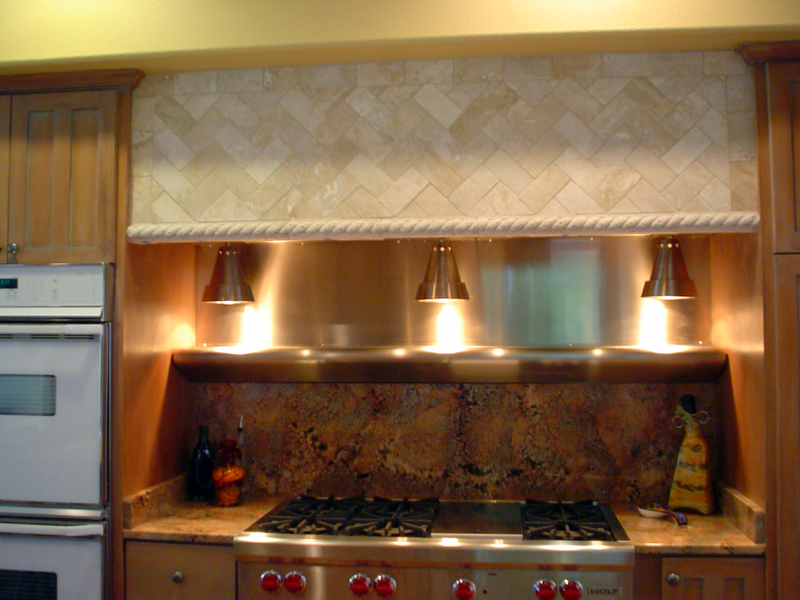 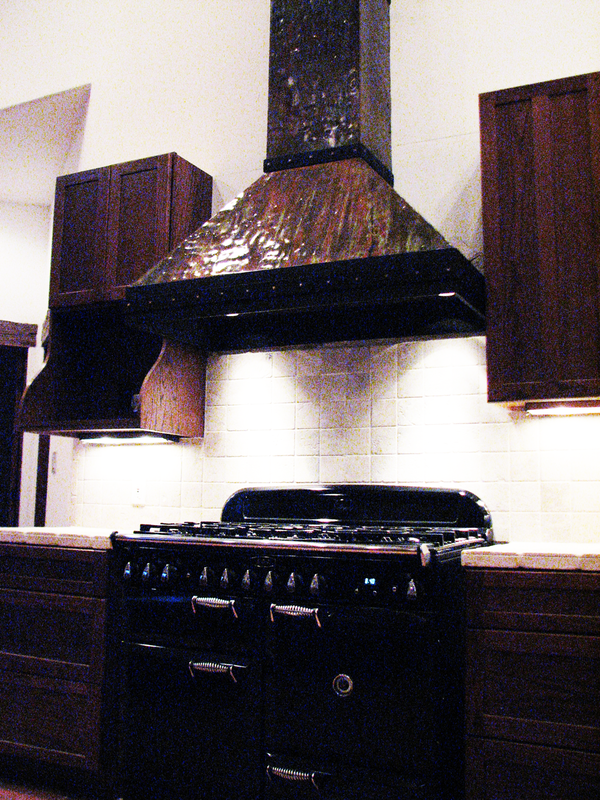 A curved ceiling creates a dramatic opportunity for this Range Hood #13 in hard distressed Nickel Silver. 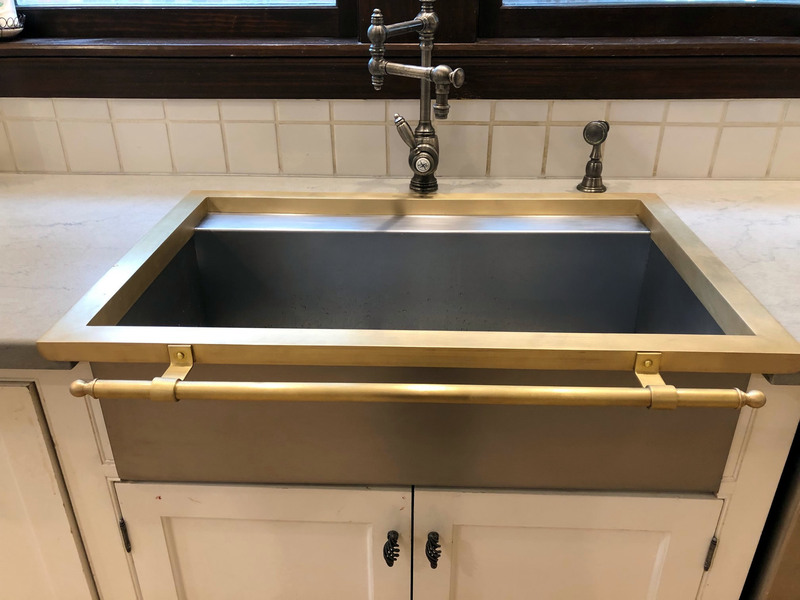 This copper farmhouse sink features a hammered apron and a double 60/40 basin. 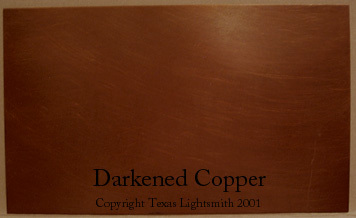 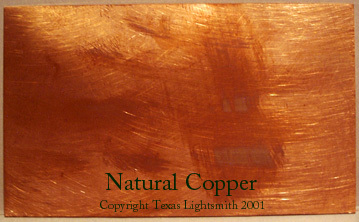 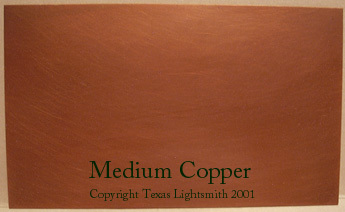 This beautiful sink is finished in Medium Copper.